Are you polluting the oceans every time you exfoliate? If you’re sloughing off with a product from one of the world’s largest personal-care companies, chances are you’re funneling thousands of tiny plastic spheres down the drain for the sake of your baby-smooth skin. 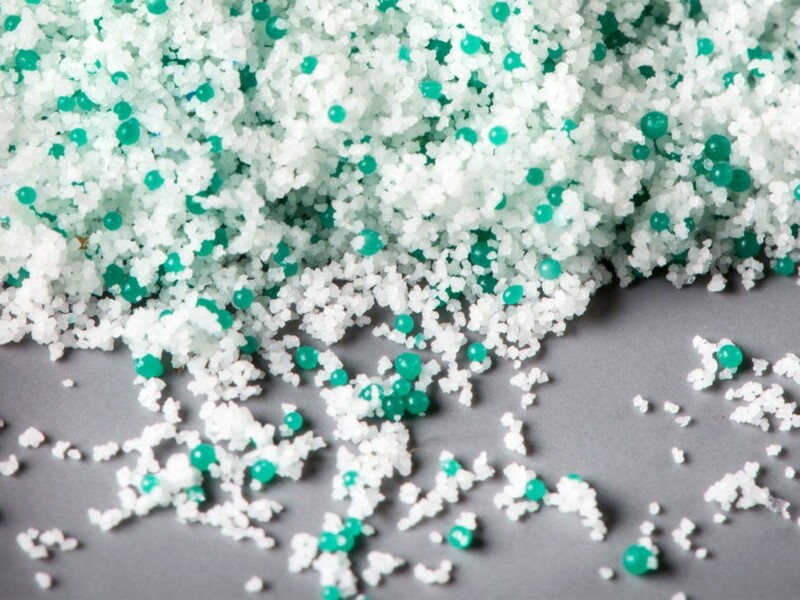 Dubbed microbeads, these minuscule abrasives are generally too small to be captured by wastewater filtration. Instead, they drift out to sea, where they’re mistaken for food by fish and other marine life. But despite forthcoming bans in Australia, Canada, the United Kingdom, and the United States, plus growing calls for the same in the European Union, a ranking of 30 of the biggest brands in the cosmetic industry by Greenpeace East Asia demonstrates why formal legislation must sometimes supersede voluntary corporate commitments. Greenpeace scored the companies, using survey responses and publicly available data, based on four main criteria: commitment and information transparency (“Does the company have [a] commitment on microbeads? Is it publicly available adn easy to access?”), definition (“How does the company define microbeads for their commitment?”), deadline (“When will the company meet their commitment?”), and application scope (“Does the commitment cover all products in all markets?”). While some companies scored higher in Greenpeace’s rankings than others, not one received full marks for eliminating microbeads from their inventory. Firms performing better than their cohorts include Beiersdorf and Henkel in Germany, as well as Colgate-Palmolive and L Brands in the United States. Among the worst? America’s own Amway, Estée Lauder, and Revlon. Noting the widely disparate scores received by Colgate-Palmolive, Estée Lauder, L’Oreal, Procter & Gamble, and Unilever, the environmental group said that the industry at large is reneging on its collective responsibility. Are you polluting the oceans every time you exfoliate? If you're sloughing off with a product from one of the world's largest personal-care companies, chances are you're funneling thousands of tiny plastic spheres down the drain for the sake of your baby-smooth skin. Dubbed microbeads, these minuscule abrasives are generally too small to be captured by wastewater filtration. Instead, they drift out to sea, where they're mistaken for food by fish and other marine life. 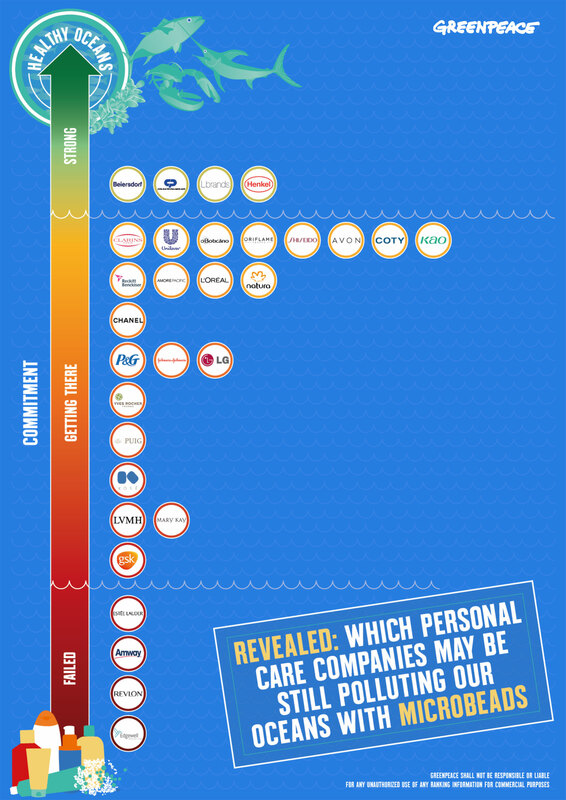 But despite forthcoming bans in Australia, Canada, the United Kingdom, and the United States, plus growing calls for the same in the European Union, a ranking of 30 of the biggest brands in the cosmetic industry by Greenpeace East Asia demonstrates why formal legislation must sometimes supersede voluntary corporate commitments.